CALL FOR A COMPLIMENTARY CONSULTATION. We prepare our clients in the entertainment industry to speak about their projects and their craft eloquently and passionately. We also help them decide what they do or don’t want to share about their pesonal lives, which is something that should be done before they have a microphone in front of them. Media interviews can be especially challenging for actors, music artists and other celebrities and public figures because people often feel they have a right to know about the personal lives of anyone in the public eye. Celebrities and performers may be tempted to share too much, but there’s a fine line between letting fans get to know who they are and maintaining some healthy boundaries around one’s personal life. We help each client decide what his or her boundaries will be before they face the media. Sometimes artists and performers forget that a comment that’s tossed off candidly in an interview or in a tweet may be seen as a stronger statement by the media or the public. Our training prepares clients to confidently navigate interviews and public presentations, allowing their own individual personalities to shine through. We have trained clients represented by Paramount, Disney, Nickelodeon, Universal Music, 300 Entertainment, and other top entertainment studios. 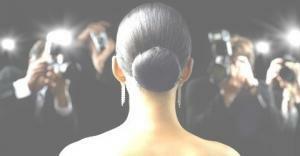 Performers and celebrities are expected to be eloquent in interviews, red-carpet ready, and prepared for paparazzi. However, even the most eloquent people can become tongue-tied in interviews. Performers are under greater scrutiny than others in the public eye (save politicians). Our practice interviews and help with message clarification enables them to be at their best in every interview. Red carpet interviews are fast. It takes practice to deliver great sound bites while maintaining poise and a smile for the camera. Celebrities who don’t have a plan for dealing with the paparazzi can find themselves in very contemptuous, if not dangerous, situations. WE CUSTOMIZE EACH SESSION, BASED ON THE CLIENT’S NEEDS. There are some distinct differences in the way we provide media training for actors versus media training for music artists because there can be vast differences in the formats of the interviews for which they will need to be prepared. When providing media training for performers, we aim to bring out the individual’s natural charm and charisma, while maintaining the artist’s desired positioning, image and projects to be promoted. We often work with the talent’s publicity and management teams when we provide media training for actors, music artists or performers, so that we can gain a clear understanding of what can be revealed to the media about a project and what must be held back to coincide with press launches and premieres. WE WORK WELL WITH YOUNG TALENT & NEW TALENT. Our warm and positive approach to training is especially appreciated by young or new talent and their representatives. Even performers who are used to being on stage or in front of a camera can become nervous before interviews, so we help them develop quick rituals to use to relax and get focused before interviews. We have trained clients represented by Paramount, Disney, Universal Music, and other major entertainment entities. We keep individuals’ names and details confidential. Our entertainment clients are a bit private, but you can read what our other clients say about their experiences. Click here to visit the Clients page. We have provided media training for actors and media training for music artists who are located in Los Angeles, New York, San Francisco and elsewhere. Although we are a Los Angeles-based media training company, we travel to some locations and we provide training via videoconferencing for clients around the world.